Merry Christmas Eve scooter duders! 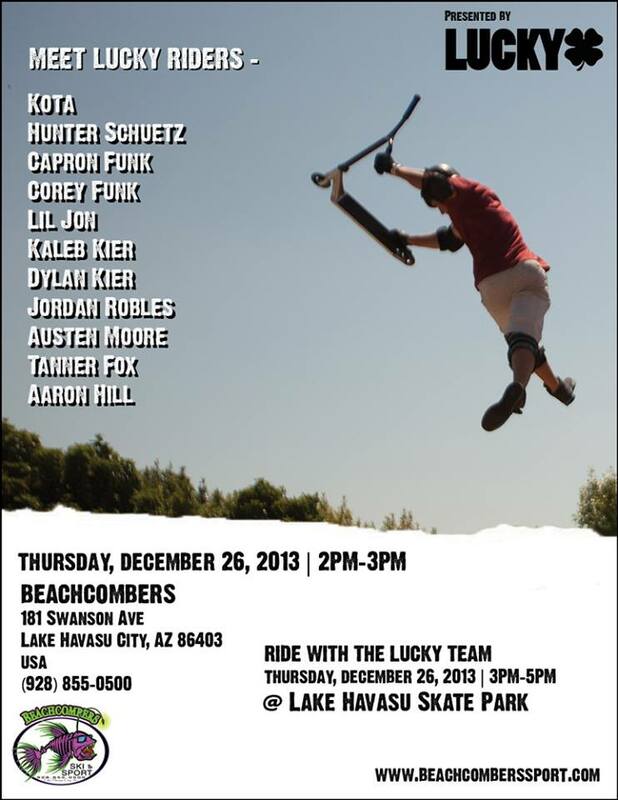 A bunch of Lucky team riders are having a little shindig at Lake Havasu skatepak in Arizona the day after Christmas. I highly recommend that anyone who will be in the area go check it out because it's going to be a rad time. The Lake Havasu skatepark looks awesome, you know the weather will be awesome and there will plenty of riders to meet and hang out with! Be there or be square!